Welcome fellow Papertrey Ink lovers! I am going to try to make this sort of short and sweet as I know you are hopping along to so many amazing blogs and it is also way too late when I type this. 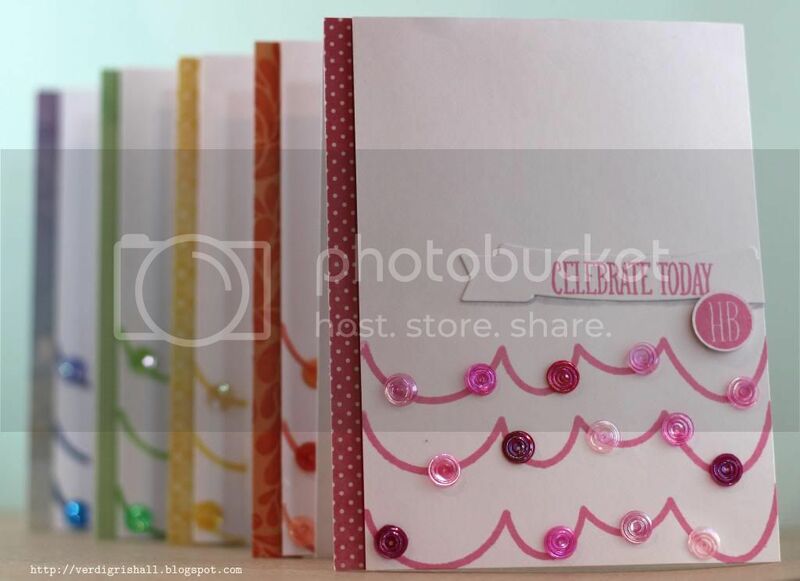 I went with making a rainbow set of cards with the same design, dies and stamps. In my sequin collection I found a box of multi-colored swirl sequins have had for years...so long that I don't recall when or exactly where I bought them. I separated the colors out and chose colors for the cards I made from the color families I found. 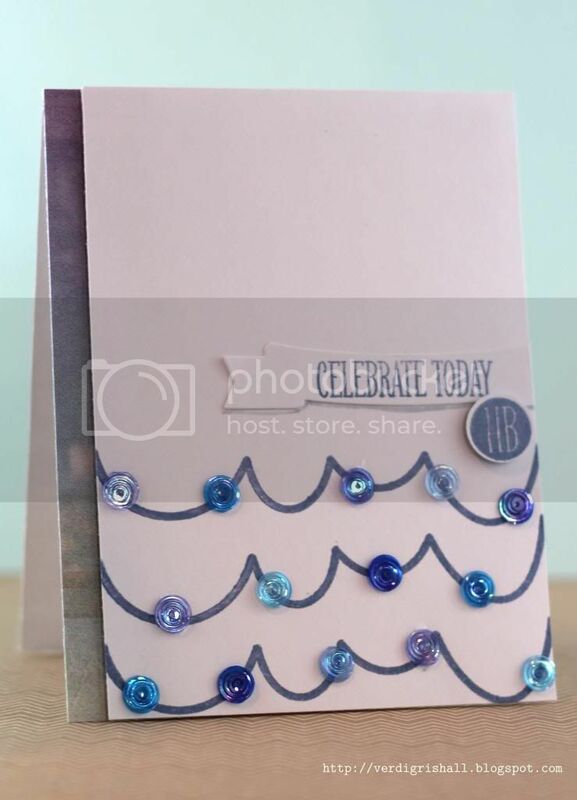 I just got my March release order and I (like many I am sure) was over the moon for Maile Belles' new Birthday Style and Bountiful Banners sets. 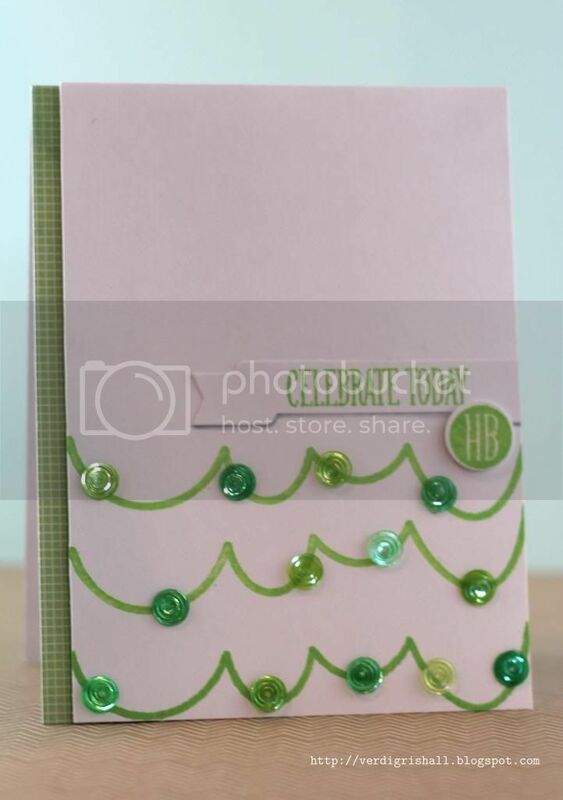 I stamped the solid streamer on a piece of white cardstock. I die cut the Boutiful Banners die from white cardstock as well and stamped the sentiments using the same ink. I adhered the sequins onto the streamers. I first tried glue, but found mini glue dots to be easier and less mess. The little HB circle is adhered with dimensional adhesive. I adhered this panel with dimensional adhesive to a white cardstock card base that I adhered a matching patterned paper stripe of paper to. And that's it! 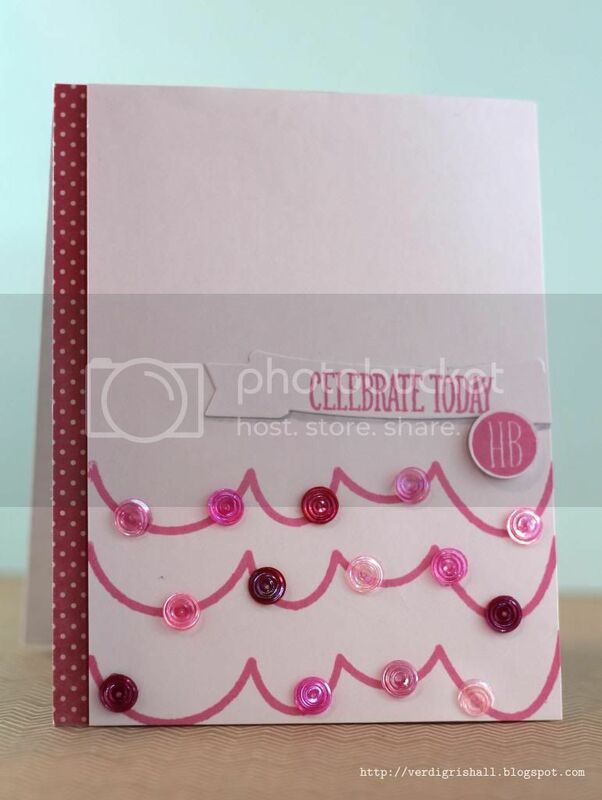 I love how fun these all turned out together and I could easily replicate this design for any occasion. Thank you so much for stopping by and I know I will inspired by what you make! P.S. Scroll down for today's Man Oh Man Monday post. Crazy cute!! I can't decide which color I like best! Great work! What a fabulous card set! Wowza! Your raibow set is gorgeous, I love the design! Awesome set of cards! Love those swirl sequins, too! Really fabulous set of cards! 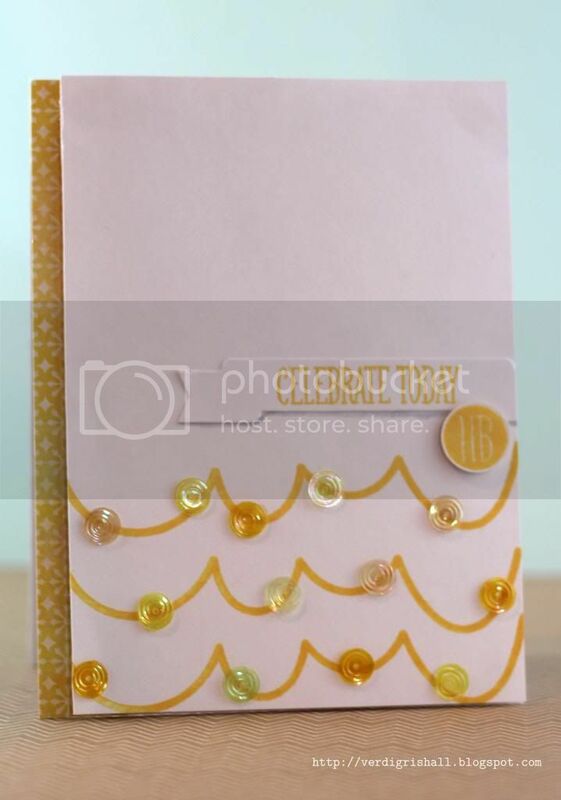 Fabulous card set, loving the colors! Thanks for sharing! These are so pretty ~ love all of your rainbow colors & the sequins go perfectly with this set! Each and every card is absolutely fabulous! Love the rainbow of colors and the design is wonderful! Beautiful card set! Love them all! Love rainbow sets! Fabulous job! 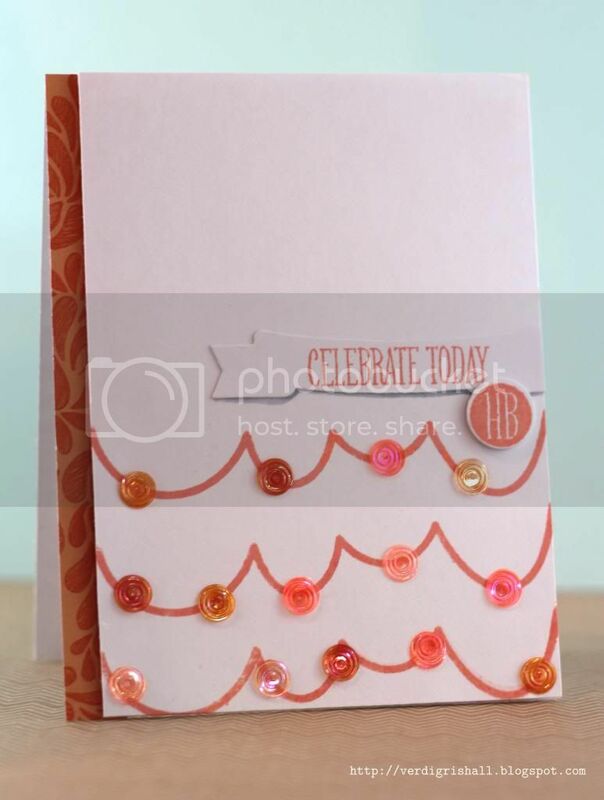 Love this fun set of cards, all the colour matching makes me so happy and goes so well with the nature of your design! Congrats on being highlighted in the Papertrey Newsletter for these - well deserved!